of State Rex Tillerson said Wednesday it was “crucial” for the United States to maintain an open-ended military and diplomatic presence in Syria to prevent Islamic State militants from regrouping, to thwart Iranian influence and ultimately to see the exit of President Bashar Assad. Tillerson outlined what he described as a new, more engaged Trump administration policy for the war-riven country during an address at the Hoover Institution think tank at Stanford University. He described a plan of “increased diplomatic action” and a “new emphasis on a political solution” for the Syrian civil war, which has killed at least half a million people since 2011 and sent millions more fleeing in what became the largest refugee exodus toward Europe since World War II. Tillerson said the administration also will maintain a small “conditions-based” military presence in Syria to track and kill the dwindling number of Islamic State militants. The Pentagon said in December that it had about 2,000 U.S. military personnel deployed in Syria. Targeted by an American-led coalition, as well as local militias, Islamic State has lost most of the territory it seized in Syria and Iraq in 2014, but it remains a lethal threat. On Monday, two suicide bombers killed about 35 people in Baghdad in the first major attack in the Iraqi capital since the government declared victory over the extremist group last month. 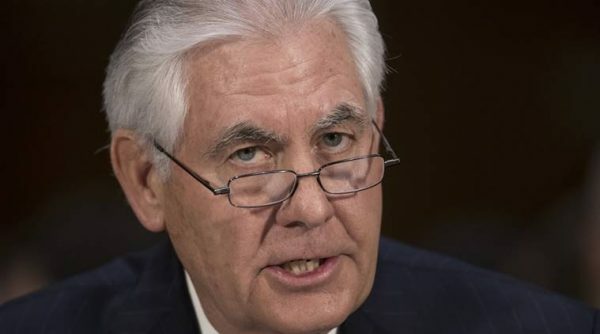 Islamic State “presently has one foot in the grave, and by maintaining an American military presence in Syria, it will soon have two,” Tillerson said. “We cannot repeat the mistake of 2011,” he said, alluding to President Obama’s withdrawal of most U.S. combat troops from Iraq after nine years of war. Critics say the U.S. pullout added to Iraq’s instability and allowed a local Al Qaeda affiliate morph into Islamic State. Tillerson’s remarks seemed to signal an indefinite U.S. engagement in Syria. It also represented a more forceful determination to get rid of the Syrian autocrat than the Trump administration has advocated in the past. Assad’s departure “will create the conditions for a durable peace within Syria and security along the borders for Syria’s neighbors,” Tillerson added later during a question-and-answer session. Both the Obama and Trump administrations have backed United Nations-led talks on Syria based in Geneva, but they have made little progress toward negotiating a political solution to the civil war. Assad — backed by Russia and Iran — now seems firmly in control of much of the country. Tillerson conceded that some Americans might be disturbed at the prospects of long-term involvement in Syria. But U.S. disengagement now, he said, would give Iran a “golden opportunity” to spread its influence and could allow Islamic State to regroup. Tillerson stopped at Stanford on his way back to Washington from Vancouver, Canada, where he co-hosted a daylong meeting of allies from the Korean War to redouble efforts to stop North Korea from expanding or using its nuclear arsenal. This has definitely upset Iran’s ambitions to dominate across Iraq and Syria. The US are not a “presence” in Syria. They are an illegal occupation. Iran’s ambitions to dominate across the Middle East will not be easy. The presence of Iranian in Syria is not tolerated primarily by the Israelis as well as the Sunni Muslim countries. 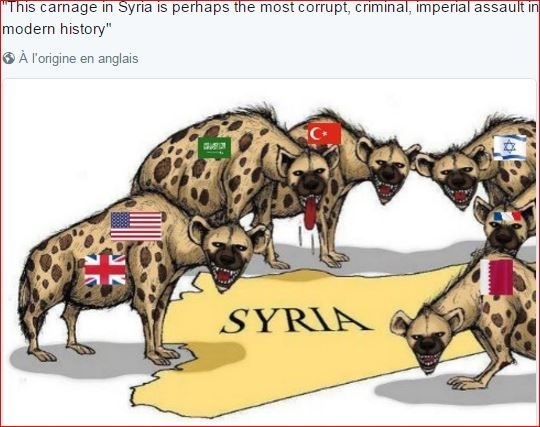 However I don’t understand what the Americans doing in Syria – do they intending to torpedo the Turkish plans to occupy (control) a part Syria with the high concentration of Kurds? As the ISIS, they’re regrouping outside Syrian borders. It is always crucial for the Americans to maintain control…. They should first maintain control over their own leadership that is out of balance. “However I don’t understand what the Americans doing in Syria”….etc. Since Trump has been in office the US media, Congress, et al have complained about not knowing Trumps plans and intentions. That in itself is the plan. Should not the USA shoot down some turkey’s in Syria if they are attacking you? They need to be made to understand if they think they can attack US operations, otherwise it will be seen as weakness. It appears that for every significant country involved in Syria, they all have different plans for the Syrian endgame. Nobody is on the same page…. and the war goes on. Every significant country involved in Syria, have a different plan for the Syrian endgame. The question is, how the end result will looks like. Personalty I don’t understand why Turkey is still a member of the NATO. Why you’re no bothered by neo-Nazism instead of Syria?.. Normal people are bothered by the Nazism (nothing “neo” about it) embodied by you and your Baathist-Saadist-Hezbollahi ilk. 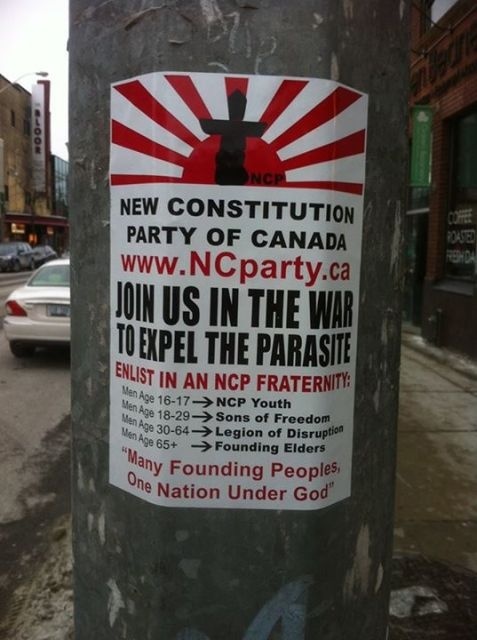 As if Canada is free of Nazis and NeoNazis…. Dumbyad hate Jews more than these Canadian Nazis. We have witnessed (seen) it on her Twitter account. What will Tillerson say about the Turkish forces that begun a new air and ground operation on Afrin in Syria? Both Afrin and Manbij are under the control of the YPG, which Ankara classes as a terrorist organization allied with the Kurdish People’s Party (PKK), a group that is waging a long-running insurgency in Turkey. In his televised comments, Erdogan said Turkey was determined “to clear our country up to the Iraqi border from this terror filth that is trying to besiege our country.”…. No we have to see what will happen when the alliance of Kurdish and Arab militias respond to the attacked by Turkish forces. The alliance warned Turkey that it would have no choice but to respond. Is that why US troops staying in Syria, to prevent Turkish forces from attacking the alliance of Kurdish and Arab militias? Any major offensive against Afrin entails high military risks for Ankara, with the Syrian government saying it will shoot down any Turkish jets carrying out raids inside Syria. It will also affect political ties not only with the US, but also with Russia, which keeps military observers in Afrin and has lately improved its relations with the YPG. Erdogan, take your hands off Syria before it will be to late. Ankara’s decision to launch the operation has pushed US-Turkey relations to new lows. Other nations urge an immediate end to the offensive. “This fighting … must stop,” French Defense Minister Florence Parly told France 3 Television on Sunday, adding that the new conflict could “deter Kurdish forces who are at the side” of the international coalition battling the “Islamic State” (IS) militant group in Iraq and Syria. Furthermore France also called for United Nations action to help minimize the “humanitarian risks” as the fighting escalates in Syria. Turkish Foreign Minister was disappointed by the French government’s comments, he expected France to stand by an ally country, not with a “terror organization.” France isn’t Turkey’s ally country. Mevlut Cavusoglu told reporters that if France does “not act like ally… then it would be treated as a country that sides with terrorists,”. A Turkey-backed rebel commander said Russia has backed the operation with aerial support, despite being on opposing sides of the Syrian conflict. In other words Turkey and Russia are now ally countrys, so why Turkey is still a part of NATO?